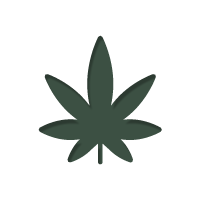 >Blog>Medical vs Recreational Cannabis: What's The Difference? Medical vs Recreational Cannabis: What's The Difference? Cannabis is cannabis - so why is some considered “medical” when some is not? Is there really much of a difference between medical and recreational cannabis? For those who are not well versed in all things cannabis, it could be easy to assume that there are large and fundamental differences between the cannabis plants grown for recreational and medical use. However, this is not the case. Essentially there is little to no difference at all in terms of the plants themselves - they can be one and the same. Ideally, cannabis for medical use has has been grown organically and analysed for its potency, revealing its precise constitution. Further, the strain selection can be adjusted to the needs of a particular use, which is more important than when it comes to getting high. But besides this, the only real differentiation between medical or recreational cannabis is the intention of its use. Differences in cannabinoid profiles vary strain to strain, making some more suited for one or the other use. Generally speaking, high-CBD strains are often chosen due to their inherent benefits, while those with high-THC ratio are often the choice of the recreational user. However, there is a great deal of crossover, with high THC strains being used medically, and high CBD strains being used recreationally. In fact, some of the top medical strains for pain relief are the same strains you can find being sold here in Amsterdam coffeeshops for recreational purposes. Recreational and medical cannabis is essentially the same thing. What do we mean? That the way you intend to use cannabis will allow decides over which category it belongs - if such a rigid differentiation even makes sense. You can use cannabis to improve a health issue, and society tends deem you as an legitimate medical user, or you can use it recreationally, whereby society will deem you a reprobate. At its heart, however, this the largest difference between medical and recreational cannabis: the purpose to use the herb, and how you are perceived by society. Quite interestingly, the word recreation can obviously be de-constructed into the word “re-create,” which we think is quite fitting when it comes to marijuana. When cannabis is used to kick back and relax, allowing the body and mind to rejuvenate in a friendly and enjoyable way, it is considered to be "recreating". It isn’t a far leap to consider recreational cannabis use as a way of improving emotional well-being, while medical cannabis use is focused on the improvement of physical health problems. But the line is blurring, as all cannabis use is somewhat medical - or for that matter "re-creational" - at its core. So as you can see, things are not as clear-cut as they would first seem. CBD can be found in high amounts in both medical and recreational weed, and the same applies for THC. The real differences lay in the mind, and the intention for which it is used – but these themselves are limited perspectives, that when addressed, highlight there are only subtle differences. Of course, this is just our humble opinion here at Zamnesia, and if you have something to add or disagree with, we would love to hear what you have to say. Because, at the end of the day, that is what it is all about – debating the issues behind cannabis in order to spread a better understanding of this wonderful plant!